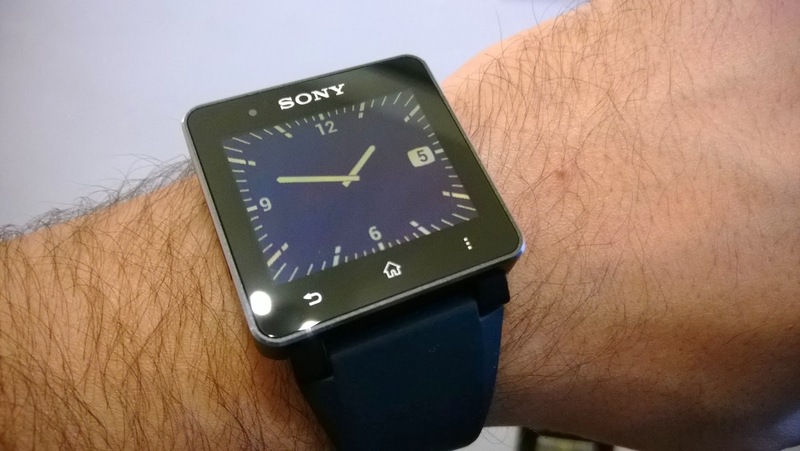 With the latest update Sony has brought a lot of new feature in its SmartWatch 2. They upgraded the entire framework and SDK (version 3) to support widgets so now you can develop not only applications, but even widgets (clocks and other widgets) that can be used to build your personalized smartwatch homescreen. 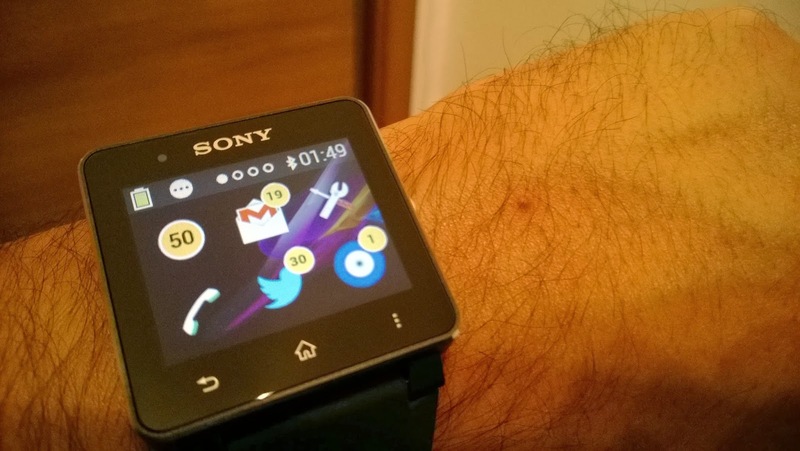 I've downloaded the latest SDK from Sony website and started to learn how to make a custom clock widget. It's not complex. It share the same project structure and the same logic as a standard Android application. There are a lot of examples included in the SDK to help you understand how it works. Looking at the images, you can see my first attempt to build a custom clock widget. All you need is a configured Android development environment and the Sony SDK. 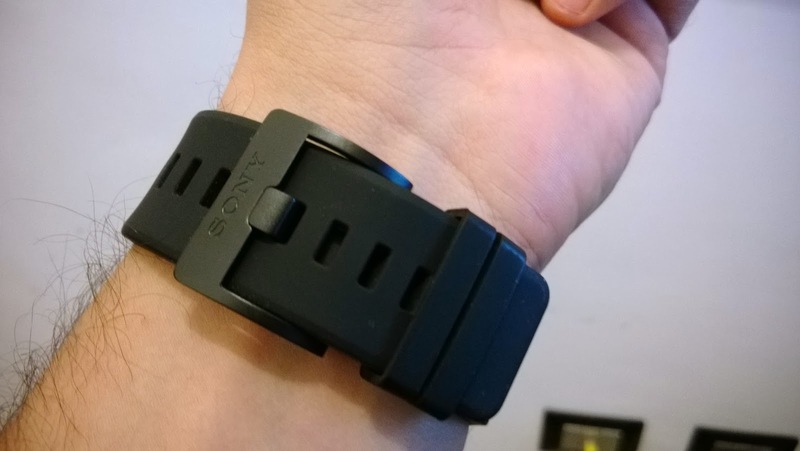 Of course, you must install Sony SmartConnect app on your device and if you are a SmartWatch 2 owner you need to pair the smartwatch with the phone. You can develop analog or digital clocks, and you can provide a list of images to use with a list layout or simply let the watch to rotate automatically the clock hands for you. As you can see from the images, the clock hand for seconds is only visible when the homescreen is "on". On low power mode, only hours and minutes will be updated and the clock hand for seconds will be hidden. Now I'm starting a little project and I want to develop my own set of clock widgets. 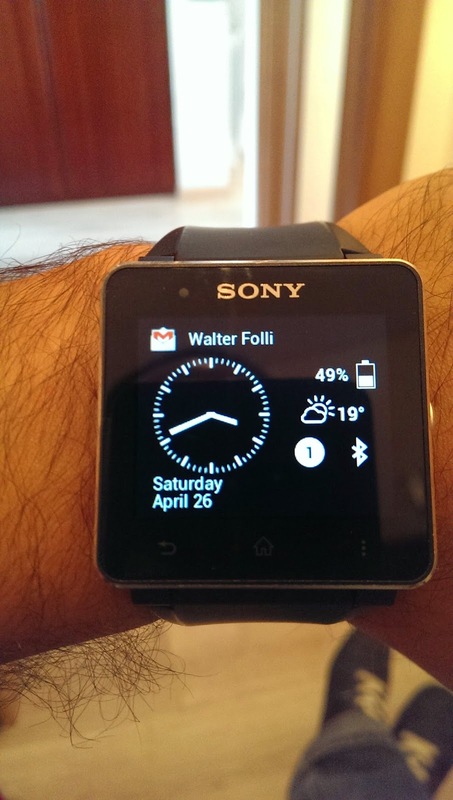 You can find all information about software development for Sony wearable devices here. 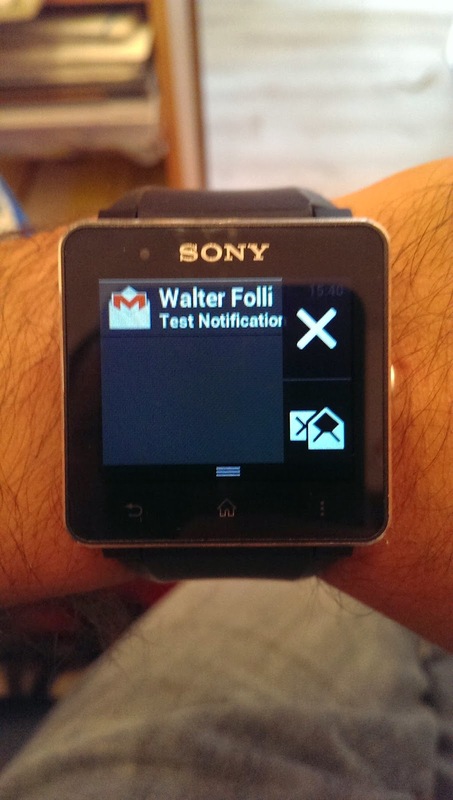 Two days ago I've received the last update for my Sony SmartWatch 2 (version 1.0.B.4.152 / 1.0.A.4.11 ) and this time Sony has done a great work bringing to the smartwatch a lot of new improvements that gave a new life to the wrist device. 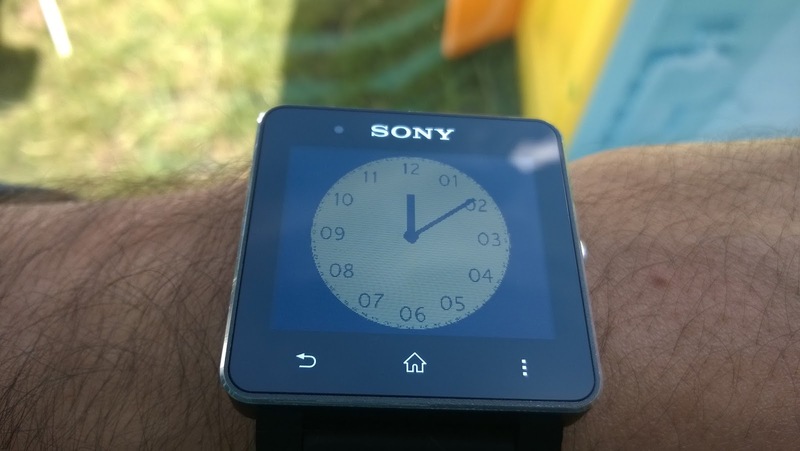 First of all Sony (finally) introduced the possibility to design your own watchface using the extension included in the Sony Smart Connect android app. 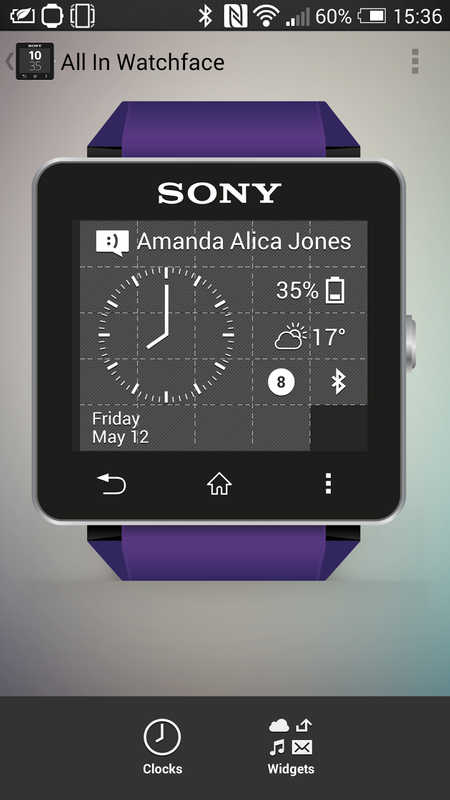 You can choose between a set of clocks and a number of widgets to place in the watchface. I think that the number of the widgets and clocks will be increased in the next releases but even now is a good set of combinations that give you the freedom to build your own watchface. The second good thing is that the notifications list (the dropdown bar at the top of the screen) is now scrollable and can be cleared directly from the menu button. This is a very good thing because now you can access to all your new notifications without open the specific application to manage the notifications. 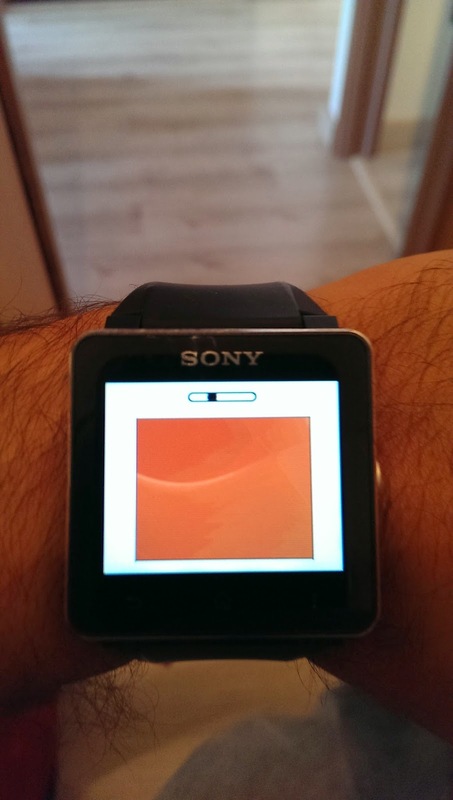 Another good new feature is the possibility to change the smartwatch background choosing it between a set of colored predefined backgrounds (you cannot use your own image). 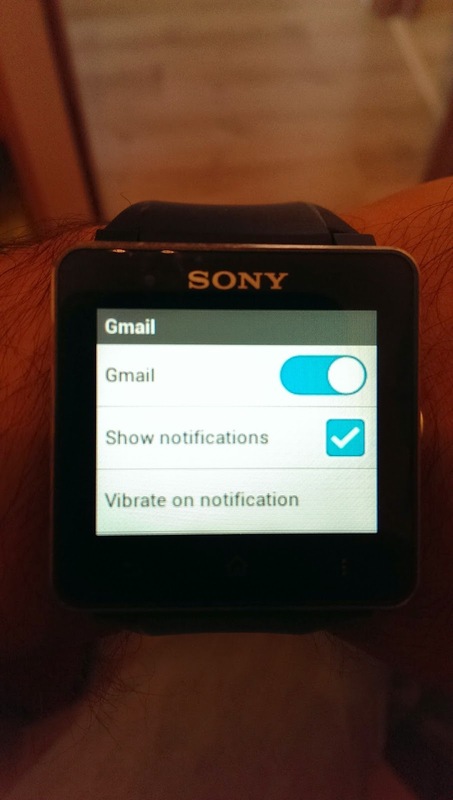 In the "Apps" section of the Settings you can now disable an application or control the notification behavior directly by the smartwatch. So, if you want to disable the vibration or hide an application, you can now do it without the need of the smartphone. The last (I saw) but not least is the battery widget that you can put on the watchface. 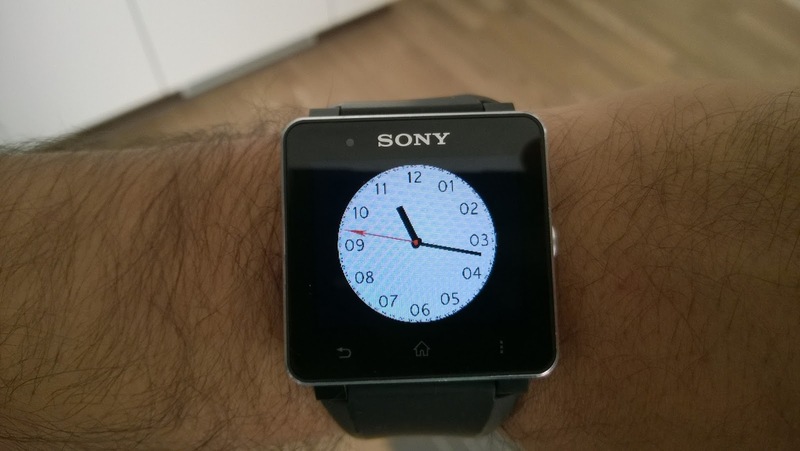 It contains a built-in percentage that show the remaining battery charge of the smartwatch. In addition, Sony updated all the SW2 apps bringing more stability and added a Calculator app. 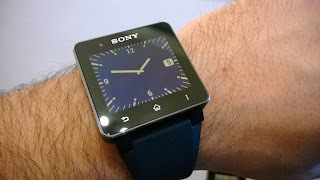 So, I'm a very happy owner of this smartwatch and Sony has taken care of its customers constantly updating its product. It's not a secret that telecom operators uses ruoter's mac addresses (often the WAN mac address or some hashed version of it) as a default wifi password. And some operators don't give you the ability to change it to something else. This makes a big security hole for the end-user that often doesn't understands how much it's dangerous. 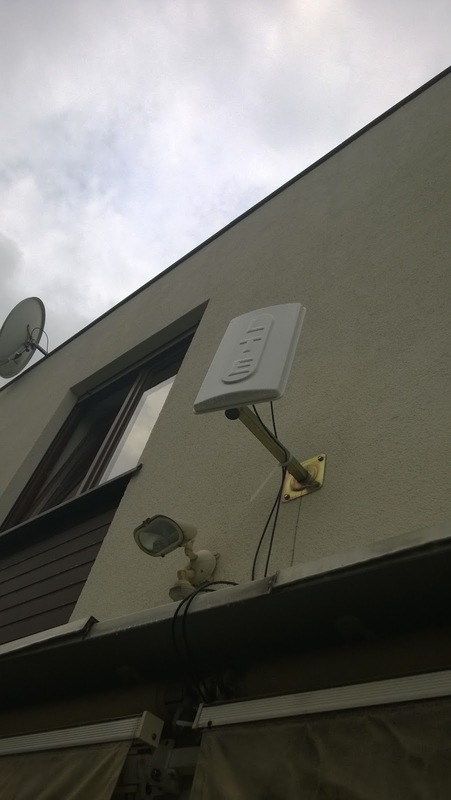 Now I'm living in Poland and I saw several Vectra wifi networks (vnet-XXXXXX) around me. My sister in law has a cable contract with Vectra operator so I seen that Vectra uses the WAN interface mac address (in that case was the upper-case version without ":") as wifi password and that password cannot be changed by user (the web-interface of the router is locked and you need an administrative user/password to log in). 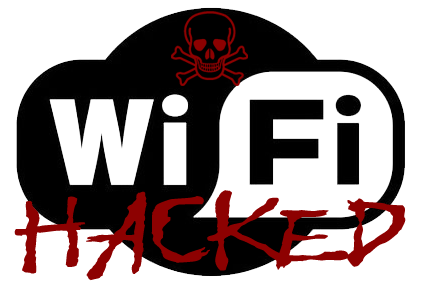 So, what if an attacker wants to join your wifi network? Ok, the attacker has to know the mac address of the WAN interface, but it's possible to calculate it. Most of routers distribuited by operators uses the same vendor to buy internal network hardware. So the wifi interface is manifactured by the same vendor (and therefore has the same initial part of the mac-address) as the WAN inteface. 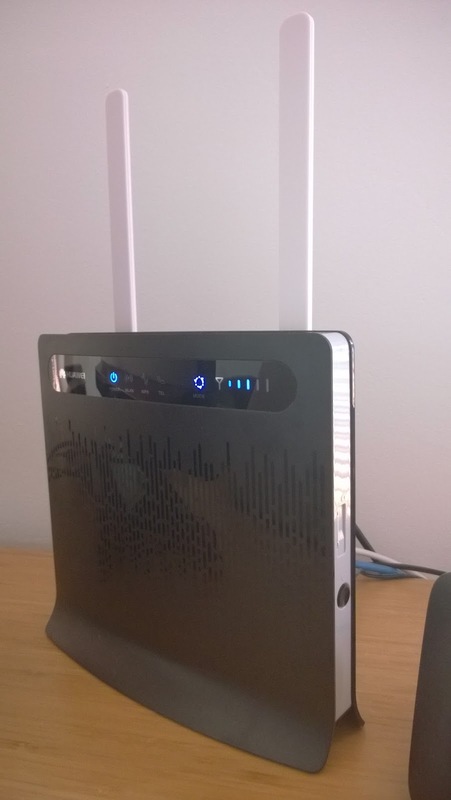 If you want to obtain the complete wifi password, you just need a simple wifi sniffer (even with a smartphone, just like Wifi Analyzer or others) to see the wifi interface mac-address of the router. Once obtained the external mac-address, just try to use it as wifi password by subtracting (or adding) 1, 2 or 3 values. For example, if the WLAN mac address is 00aabb112233, just try 00aabb112232, 00aabb112231, 00aabb112230, 00aabb112234, 00aabb112235, 00aabb112236. Try these passwords in lower-case and upper-case versions. Infact, when mac addresses are assigned to the network interfaces of a device they are simply assigned sequentially. In the case of Vectra, the procedure is even simplified. Once obtained the external mac-address, take just the first 3 bytes in hex (i.e. 00aabb112233 just take 00aabb), concatenate these three bytes with the name of the wifi network except "vnet-" (i.e. vnet-112231 just take 112231 only), upper-case it (if doesn't work try the lower-case version of the password) and you have the wifi password to access the wifi network (in the example the password should be 00AABB112231 ). The upper-case or lower-case version depends only by the Vectra man who sets up the router and he can choose to use the upper case or the lower case version of the mac address as a password (he can choose to use any other password, but it's just a common thing for they to use the WAN mac address). Anyway, sometimes router's internal and wifi mac-addresses differs because they are not made by the same vendor. In this case you must use some utilities and a dictionary based software (like aircrack-ng) to test the combination of all "vendors id" used by the router. So you have first to know which kind of router is used. I tried this procedure with 3 different Vectra routers (all made by Arris, two provided by my sister and one provided by an her friend) and it worked in all cases. The information above are just to explain how the security is often undervalued and treated like something that doesn't matter. This post is not written with the purpose to accuse Vectra operator of bad service, but is written to help people to take care of they security and protect themselves even in the electronic world. Again, be careful and honest! Don't access to any wifi network if you don't have owner's authorization!!! Let me know if this procedure worked on your Vectra wifi too! If you want to change the password of your Vectra wifi network, call Vectra customer care service by phone and they will set a new password for you. Two days ago I received all my new hardware to build my new PC (it can't be called "upgrade" because I changed mobo+cpu+ram+hd). My new configuration included two Samsung 840 Evo 250Gb SSD that I configured in a RAID0 (stripe) array. 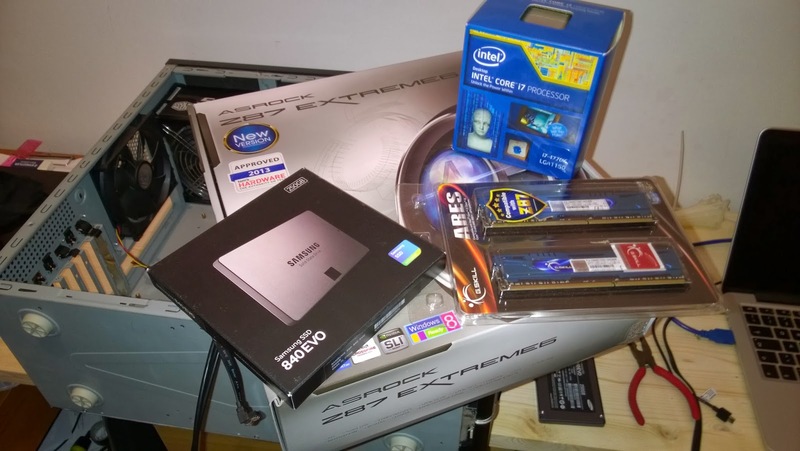 My configuration also included a new motherboard Asrock Z87 Extreme6, an Intel i7-4770K CPU and 16GB DDR3 G.SKILL @ 1866MHz ARES Dual-Channel kit. To configure the RAID0 you first have to select the SATA controlloer mode and set it to "RAID" in the UEFI Storage configuration. After that, during POST, the mainboard will display a screen which is waiting for you to press "CTRL+I"... just press CTRL+I and enter in RAID Configuration Utility. Once in, create a new RAID array (select the "stripe" RAID type), give it a name and add the disks to the array. Once installed my Windows 8 Pro (that has recognized the RAID controller without any additional driver during the installation process) I've done some benchmarks to test my new configuration. Specially I tested my SSD RAID configuration using CrystalDiskMark tool to see which kind of performance it can achieve. SIMPLY AMAZING!! see it yourself! 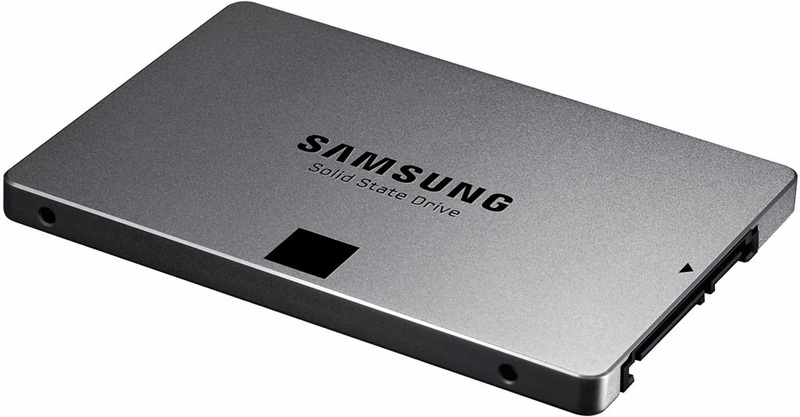 The RAID configuration performed about 75% better than the regular specs of the Samsung SSD. Ok, I know, this is just a benchmark so it will not mean that in everyday use it will boost your application load time of 75%... but of course you will have an advantage to have this kind of configuration instead of using a separated drive configuration. I tried to load office products such as Outlook, Word, Excel, OpenOffice Writer, OpenOffice Calc and many other software and they are loaded in a blink of eye! Even Battlefield 4 is so fast when loading maps. So, my conclusion is that I will never come back to HDD or to a standard non-raid configuration, even using an SSD.